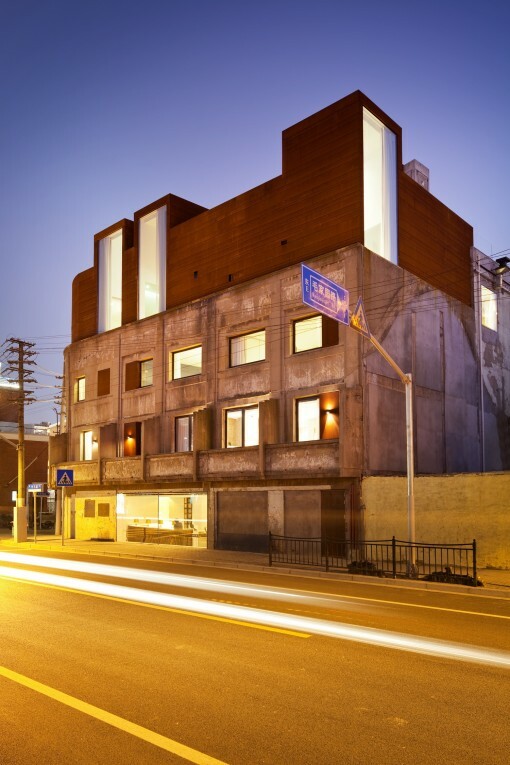 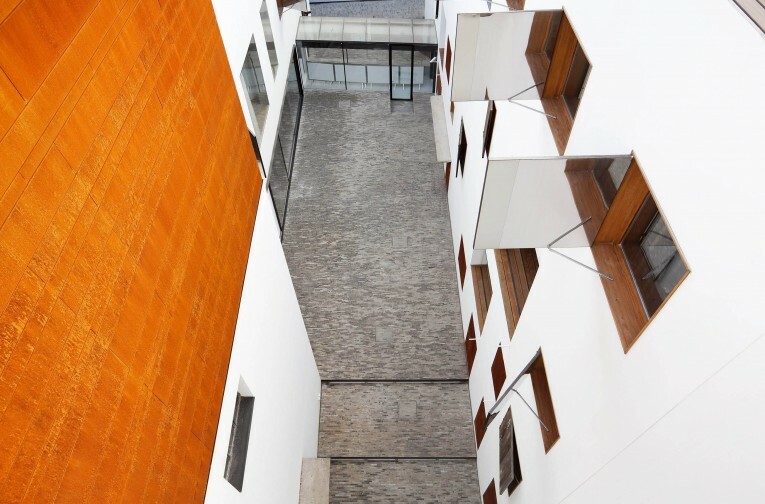 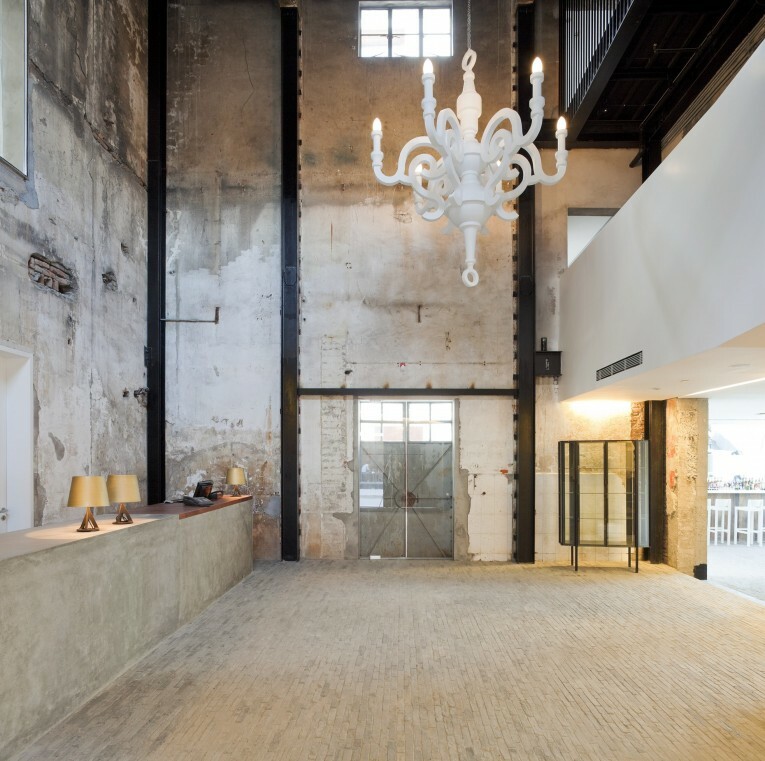 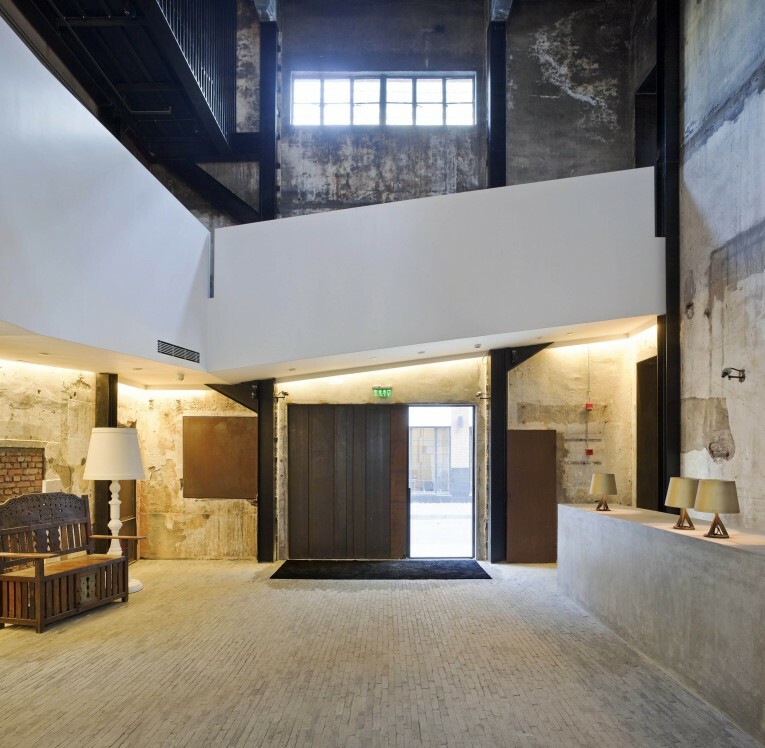 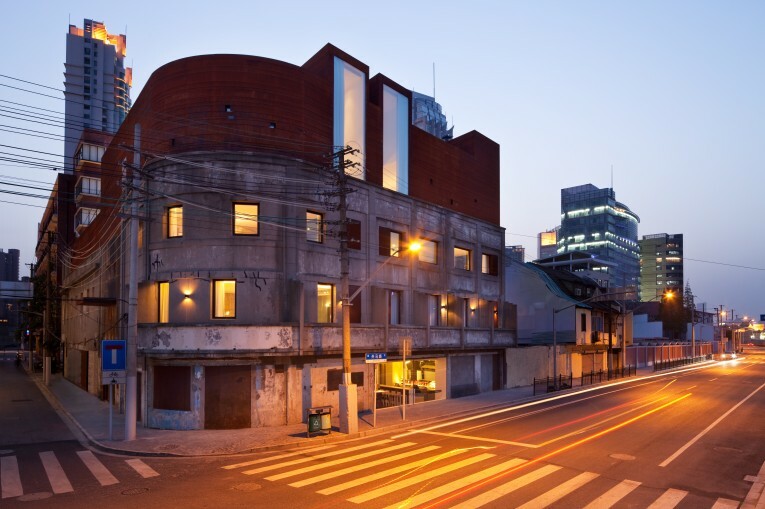 Located by the new Cool Docks development on the South Bund District of Shanghai, the Waterhouse is a four-story, 19-room boutique hotel built into an existing three-story Japanese Army headquarters building from the 1930’s. 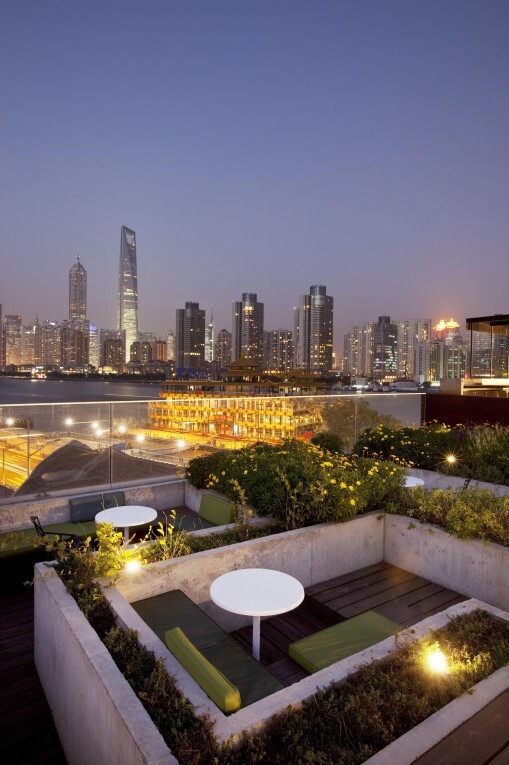 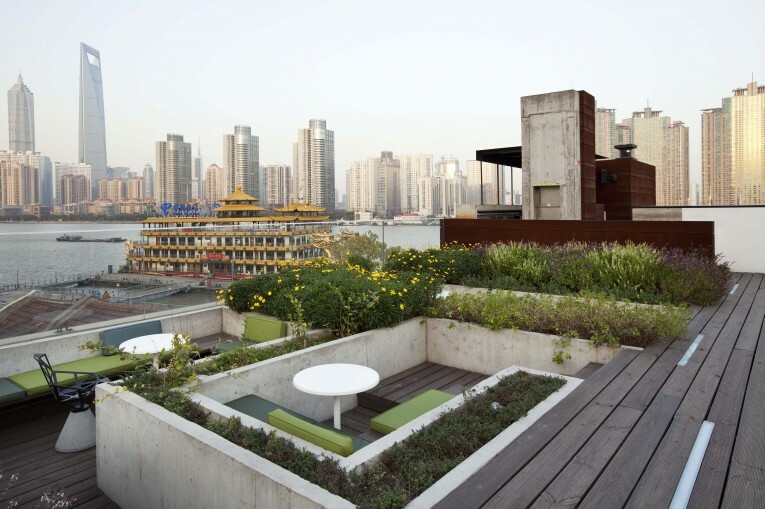 The boutique hotel fronts the Huangpu River and looks across at the gleaming Pudong skyline. 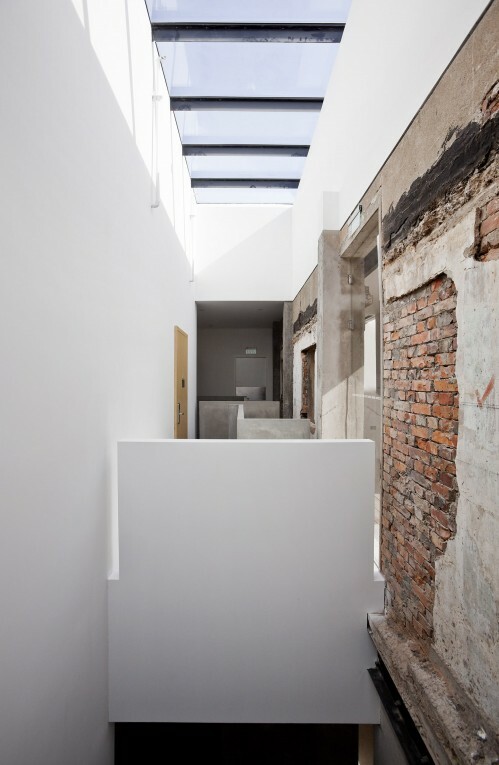 The architectural concept behind NHDRO’s renovation rests on a clear contrast of what is old and new. 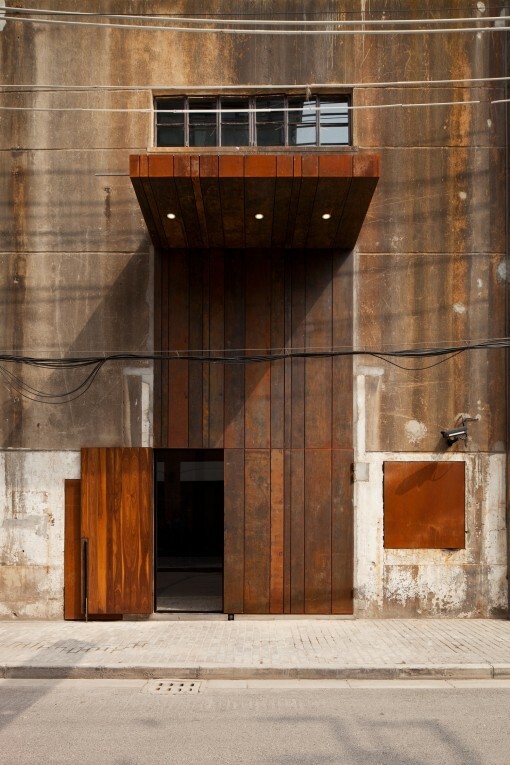 The original concrete building has been restored while new additions built over the existing structure were made using Cor-Ten steel, reflecting the industrial past of this working dock by the Huangpu River. 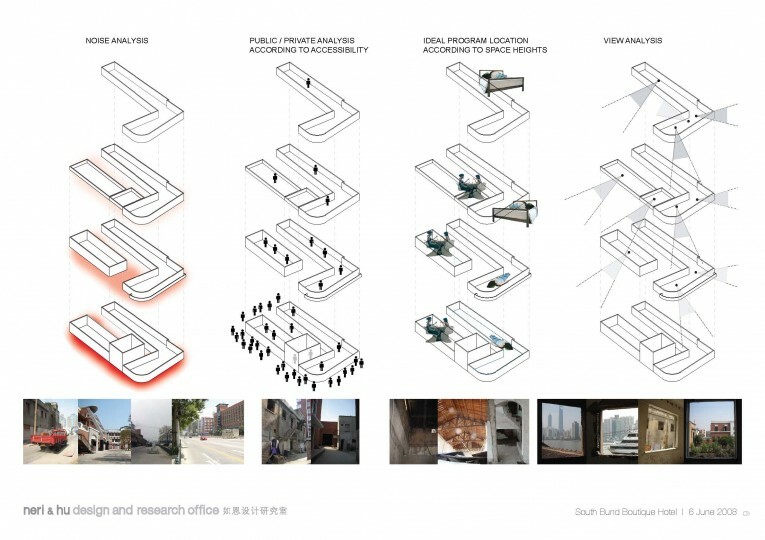 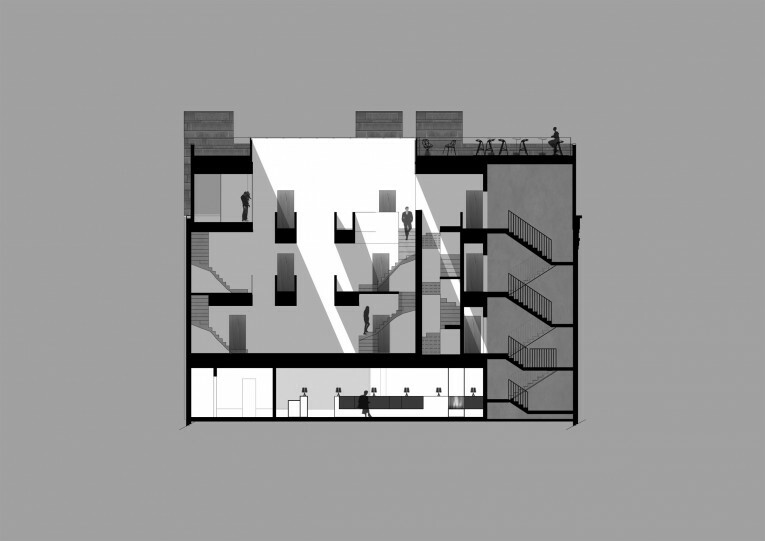 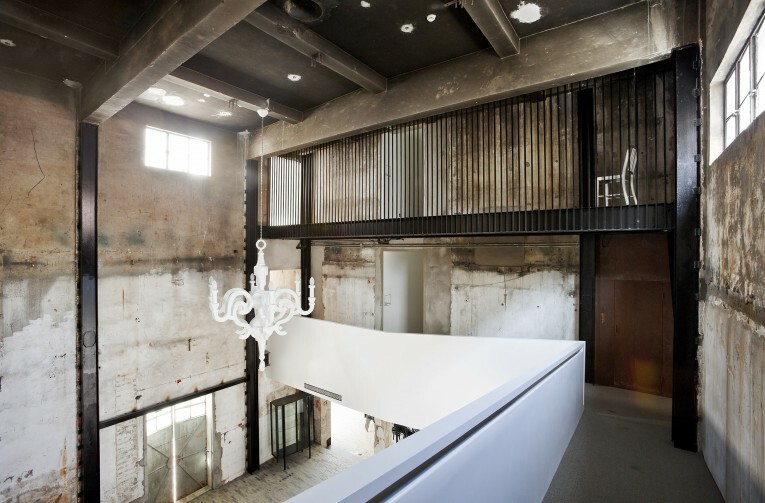 Neri & Hu’s structural addition, on the fourth floor, resonates with the industrial nature of the ships which pass through the river, providing an analogous contextual link to both history and local culture. 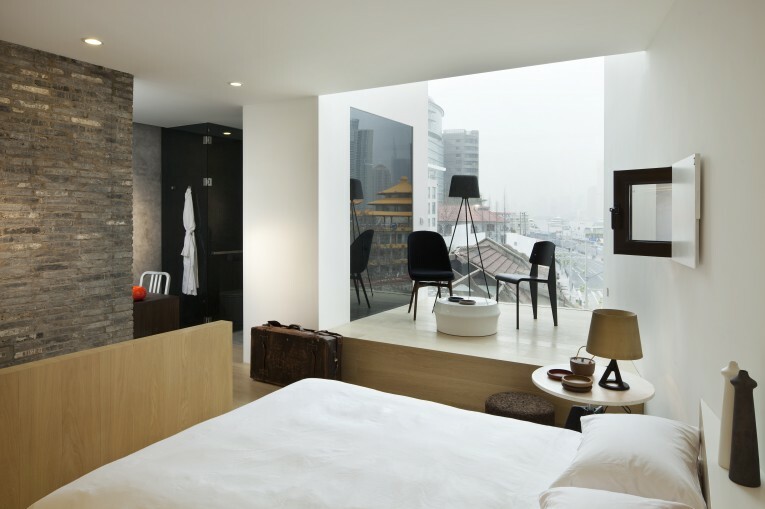 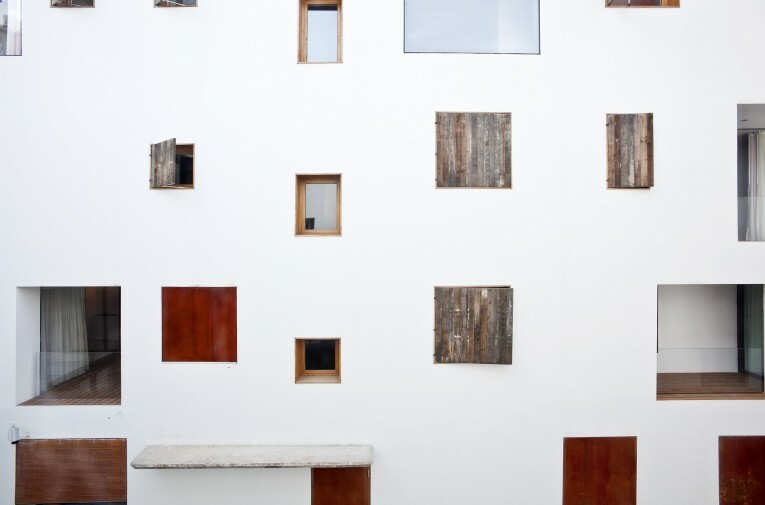 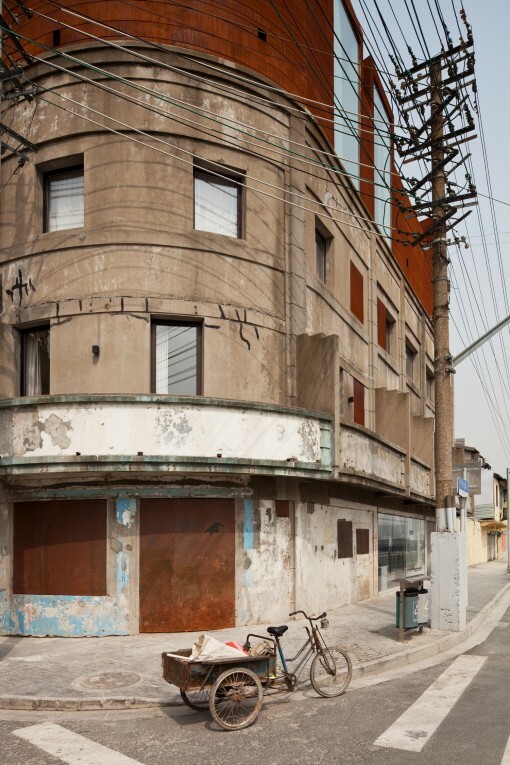 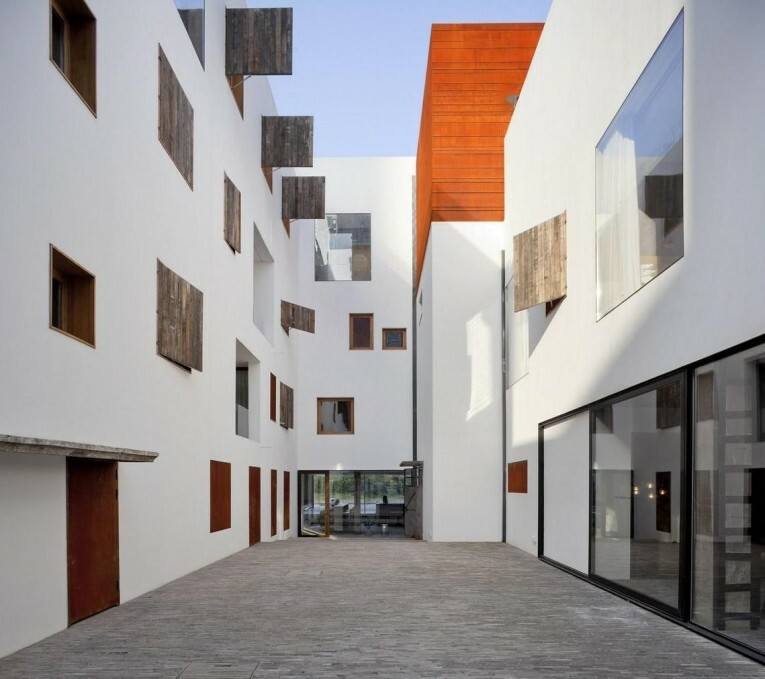 Neri & Hu was also responsible for the design of the hotel’s interior, which is expressed through both a blurring and inversion of the interior and exterior, as well as between the public and private realms, creating a disorienting yet refreshing spatial experience for the hotel guest who longs for an unique five-star hospitality experience.